In an Illinois products liability suit, you can typically sue anybody that made, sold, or distributed a defective product that caused your injuries. Who Exactly Is Responsible For My Product Injuries? Why Must I Find All Parties Involved In My Product Injury? How Do I Hold A Defendant Responsible For A Product Incident? How Do Plaintiffs Normally Hold Defendants Liable? Wondering Who Is Responsible For Your Product Accident? 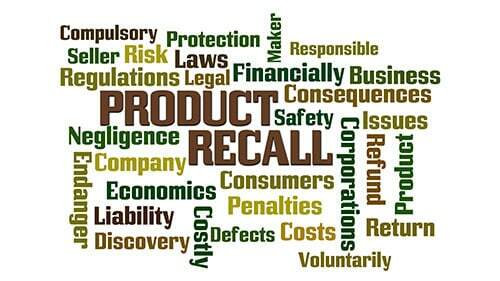 Why is identifying all liable actors important in products liability cases? Well, different defendants can be at fault for different reasons. However, because of joint and several liability laws, they all could be responsible for your entire award. This means that if you only sued one of them then that person or company would still have to pay the entire amount even if they were only partially responsible for your injuries. Of course, expanding your list of potential defendants increases the likelihood that you will actually get paid. Therefore, it is very important to consider the range of parties that could have been on the chain of distribution. Products liability cases are subject to strict liability. What does this mean? This means that any maker or seller of products is liable to you if you are harmed by them. However, there are a few checks. First, you must have used the item in a reasonable manner. Second, the product must be defective. Third, the defect must be the cause of your injuries. Fourth, the maker or seller must have directly sold you the defective product. Fifth, the defendant must be a business that sold you the item in the ordinary course of business. Rosenfeld Injury Lawyers LLC works with injured consumers to figure out who is responsible for their injuries. These are complicated cases but we can ensure you have the team that you need to recover to the maximum extent under the law. Also, our firm works on contingency which means that you don't owe a dime unless you get the compensation that you need. Call Rosenfeld Injury Lawyers LLC today to understand what filing a case could mean to you.